Bold statement: The only way folk or popular music has ever progressed or developed is through the impact of multicultural influences. Consider one of the primary and most far reaching examples: the impact of the slave trade that brought Africans to the Americas. Now, of course I’m not saying this was a positive experience for the African slaves but from the point of view of music, if this collision of cultures had not happened we would not have jazz, blues, rock and consequently we would not have myriad sub genres like reggae, heavy metal and any number of weird and wonderful genre descriptions used to describe other combinations of styles and niche marketing concepts. Of course multicultural music is the result of much more than African migration and influences. We have fascinating original musical cultures from all over the world and their blends with each other and the ever-growing genres in popular music. Being a nation of migrants, with the exception of indigenous people (unless you want to go back to prehistoric times), Australia is in the enviable position of being a repository of international musical cultures and one of the world’s great melting pots. Enter Multicultural Arts Victoria (MAV). It appears that Victoria is well ahead when it comes to the support of multicultural music. The music projects listed on their website are many and far reaching. In particular is the Visible project which develops mentorships, concert programs and has released many CDs which are available through their website. The two CDs being reviewed here are the sixth in the Visible series and a Best Of compilation. The Best Of Visible is excellent. 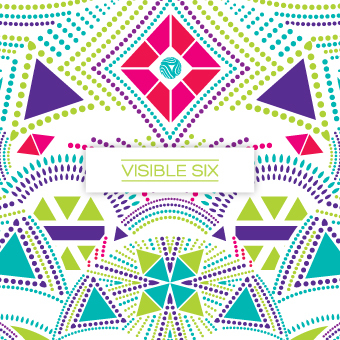 Understandably the Visible Six compilation is not all of that high standard but is still very interesting with some exceptionally good tracks. There is however one element of these recordings that demands mention. Almost all the music is of African origin. Of 17 tracks on the Best Of compilation 15 are from African artists, one very contemporary singer, Nadee from Haiti, and one wonderful vocal and percussion group, Tabura from West Papua, are the only exceptions. Even the 15 African artists represented are heavily weighted toward the horn of Africa with seven from Ethiopia, Sudan and Somalia. 10 of the 13 tracks on the Visible Six album are of African origin. Someone at Visible has a particular leaning toward African music and the MAV website explains that Visible is aimed at developing African artists. As an enthusiastic admirer of African music and its impact on all western popular styles, that suits me fine but what about all the musical treasures in the suburbs of Melbourne and the regions of Victoria from Asia, South America, Europe, Middle East and The Pacific Islands? I hope they are catered for in other projects within the wide scope of MAV. That said, these albums reveal the depth of multicultural music talent in Australia and the startling variety coming from and influenced by Africa. There are the jazz blends with powerful horn sections and some great sax and trumpet playing, the exquisite vocal harmonies, the traditional instruments, the contemporary trends and everything in between and of course the intricate and virtuosic percussion. The music is very well recorded and mixed. Importantly the mastering is excellent, creating a seamless flow across album tracks with many different sonic palettes. If I have one small criticism, it is that producers should focus on the few occasions when the lead singer’s pitch is slightly dubious. This is easily dealt with in the studio or in post-production. Excuses based on ethnic concepts of pitch don’t stand up when most of this music is not purely traditional and sits firmly in the contemporary pop, world music genre and is accompanied by instruments using western tuning. The Best Of album notes contain My Space links for each artist so the listener can explore more of the repertoire of these gems of world music in our midst. It would be good to see the same on the individual Visible releases. All this music is exciting but if I have to choose, then my favourite track from both CDs is Tewmaneh by Bitsat Seyoum from Ethiopia. This more traditional style song is as good as anything world music has to offer. But so are many of these brilliant musicians who have made Australia their home. We’re very fortunate to have them. Well done MAV and the Visible team for bringing them to our attention.